Material: Polystyren. Impact resistant, halogen free. For installations of cable clips in concrete, stone, light-weight concrete, solid bricks and plasterboard. The plug expands when driving a nail in. 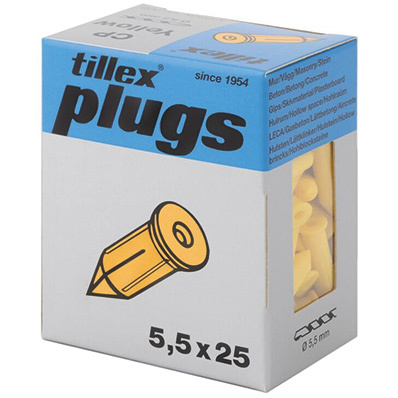 It suits perfectly for installing of Tillex cable clips.